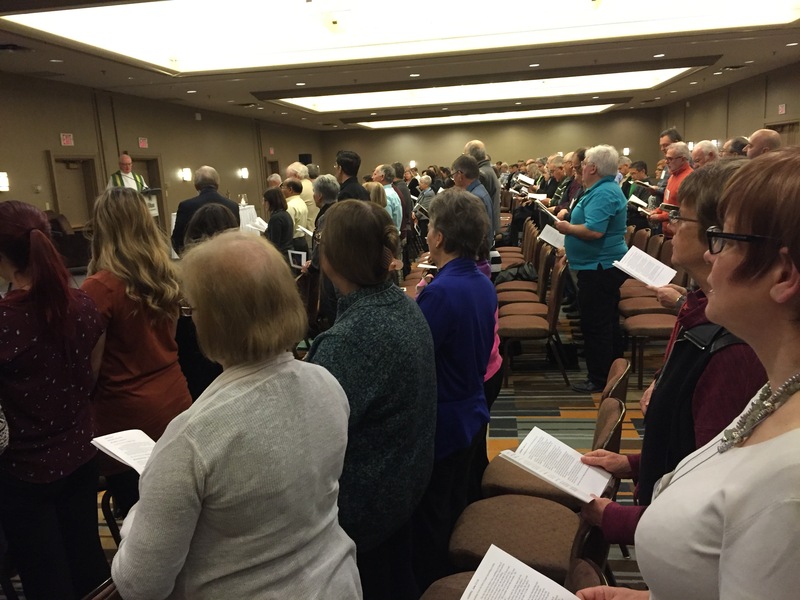 On January 15th, more than 200 Catholic trustees and directors of education from across the province gathered at the Hilton Meadowvale Hotel in Mississauga to discuss issues and opportunities in Catholic education and to worship together as a community of Catholic leaders. 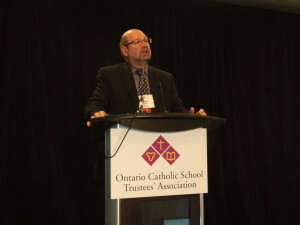 The theme for this year’s seminar was “Speaking Together with One Voice” and was chosen as a theme by OCSTA’s Directors as a way of focusing in on the inherent strength of Catholic education when as a system we address issues and opportunities in education from a shared faith perspective and with a unified voice. 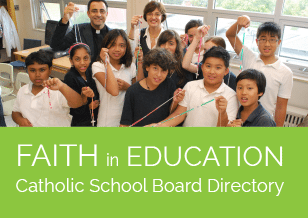 Catholic education is supported in Ontario by a tremendous infrastructure comprised of Catholic trustees, supervisory officers, students, parents, clergy and the broad community of people who embrace publicly funded Catholic education. Illuminating this theme and ultimately setting the tone for this seminar was the Seminar’s keynote speaker, the Executive Director for the Institute of Catholic Education, Michael Pautler. To view and listen to Michael’s presentation please visit the OCSTA Members’ Centre, and login with your OCSTA user ID and password. If you are taken to the “Dashboard” area of the website, please look in the top left hand corner and click on “OCSTA” to be taken to the front end of the website. Then go into “Members’ Centre” which is accessible from the navigation bar and click on “Presentations” to access audio visual material (listed under each event). Two new Ontario Education Services Corporation (OESC) Trustee Modules were introduced during the workshop segment of the Seminar. 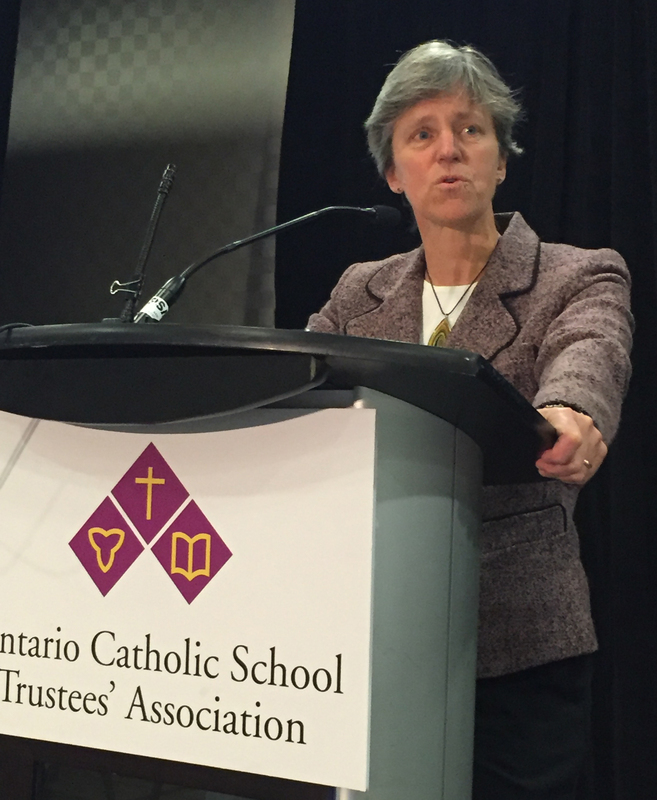 Developing a Code of Conduct for Trustees and Social Media for Trustees were each presented to over 100 participants. If you were not able to attend these sessions, please note that all 18 OESC Trustee Modules have been enhanced to incorporate the Catholic perspective and are available in the OCSTA Trustee Modules Centre where OCSTA members can complete any module online at no cost. This free OCSTA online resource includes videos, slides and other materials to enhance the information being shared. The Special Advisor to the Premier on Community Hubs, Karen Pitre, spoke to delegates about the framework for the province’s focus on the development of community hubs. During her presentation, Ms. Pitre acknowledged the concerns and ideas put forward by OCSTA in the Association’s November 2015 brief and also in the joint brief from all trustee associations that was submitted in December. To read OCSTA’s separate submission on Community Hubs click here. 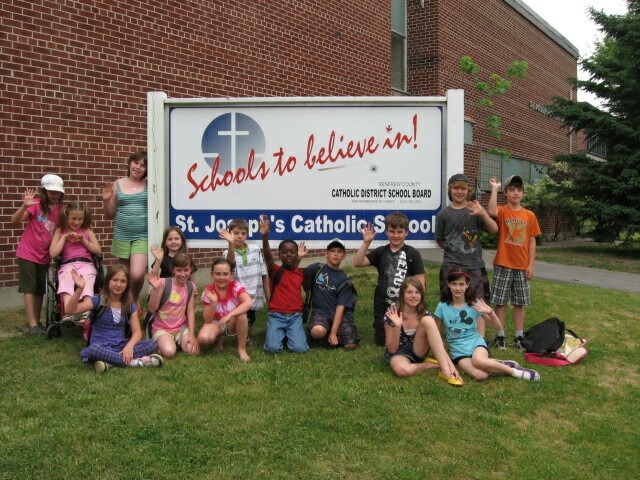 To read the joint submission prepared by the Ontario Catholic School Trustees’ Association, the Ontario Public School Boards’ Association, the Association des conseils scolaires des écoles publiques de l’Ontario and the Association franco-ontarienne des conseils scolaires catholiques, please click here. Audio recordings for many of the presentations at this year’s seminar and accompanying slides have been uploaded to the OCSTA website and can be accessed by OCSTA members here. Your user ID and password are required. If upon logging in you are taken to the “Dashboard” area of the website, please look in the top left hand corner of the page and click on “OCSTA” to be taken to the front end of the website. Then select the “Members’ Centre” link on the navigation bar and click on “Presentations” to access audio visual material. If you do not recall your login information, please contact Camille Martin at OCSTA – cmartin @ ocsta.on.ca. 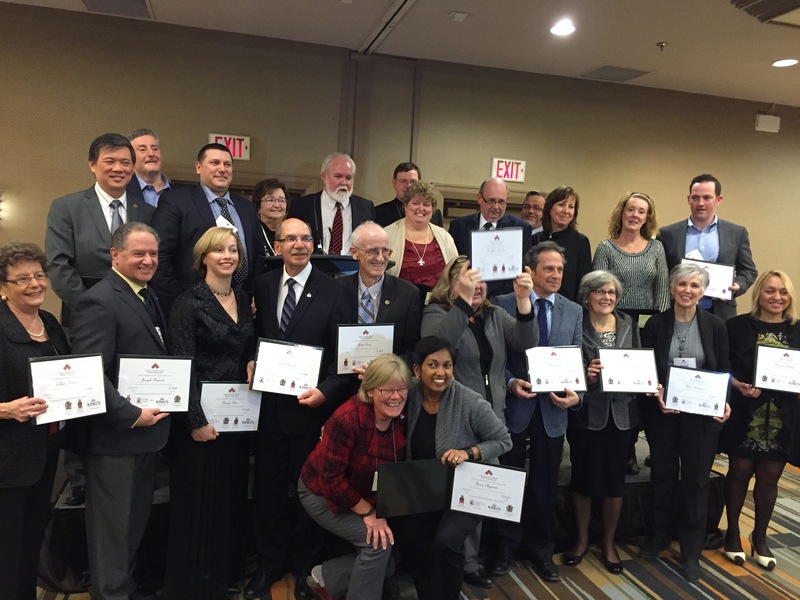 On Friday January 15, 2016, 22 Catholic trustees received certificates as graduates from the OCSTA/Ontario Catholic Universities Certificate Course. 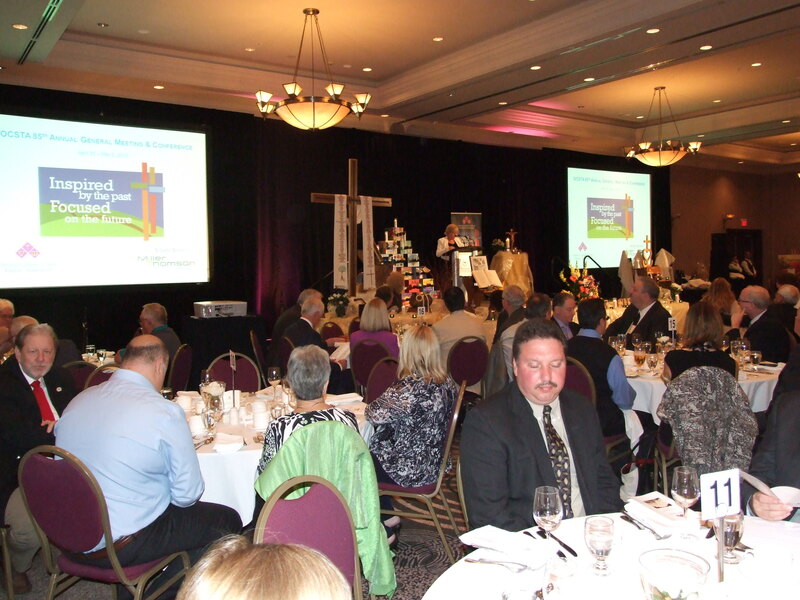 The ceremony was held in Mississauga as part of OCSTA’s Catholic Trustees’ Seminar. 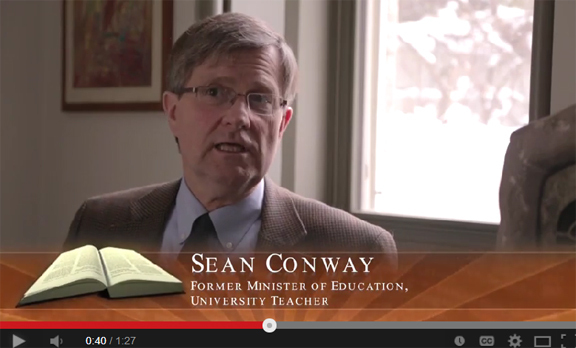 Youth Engagement in Catholic Education. 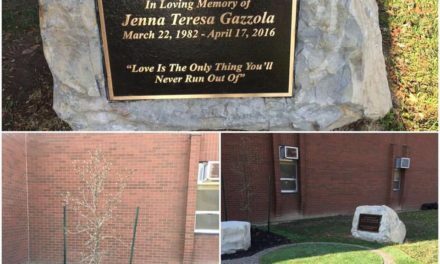 In addition to these lessons, trustees completed a practicum project focused on a significant leadership issue in their local Catholic District School Board and wrote a summative paper on that topic. Jospeh Baiardo, Hamilton-Wentworth CDSB; Patrizia Bottoni, Toronto CDSB; Carol Bryden, St. Clair CDSB; Tricia Chapman, Durham CDSB; Carol Corriveau-Truchon, Simcoe Muskoka CDSB; Gavin Cosgrove, Algonquin & Lakeshore CDSB; John Curry, Ottaw CSB; Frank D’Amico, Toronto CDSB; Nancy Deni, Sudbury CDSB; Tina Doherty, Huron-Perth CDSB; Arlene Iantomasi, Halton CDSB; Colleen Landers, Northeasten CDSB; Catherine MacDonald, Simcoe Muskoka CDSB; James McDade, Huron-Perth CDSB; Jane Michael, Halton CDSB; Michelle Parks, St. Clair CDSB; John Rinella, Durham CDSB; Kathleen Rosilius, Huron-Superior CDSB; Bob Schreader, Renfrew County CDSB; Dino Sicoli, Niagara CDSB; Garry Tanuan, Toronto CDSB; John Van Heck, St. Clair CDSB. Now’s the time to register for OCSTA’s Annual General Meeting and Conference which this year will be held at the beautiful Blue Mountain Resort near Collingwood, April 28 – 30, 2016. To register and make hotel reservations please visit the OCSTA AGM and Conference page. Each year OCSTA partners with the Ontario Catholic School Business Officers’ Association to host the annual Business Seminar for trustees, directors of education and CDSB business officials. This seminar is held at the same location as the AGM and Conference and takes place a few hours before the conference’s opening reception on April 28th. For details and registration information please click here. The Premier’s Awards for Accepting Schools recognizes Ontario’s safe and accepting school teams for their achievements in creating a safe, inclusive and accepting school climate. This is a good opportunity for you to recognize the caring teams in your board, for the work they do as Gospel inspired leaders contributing to welcoming environments for students in this province. The nomination form (use Internet Explorer to view) is now available – start your submission today.